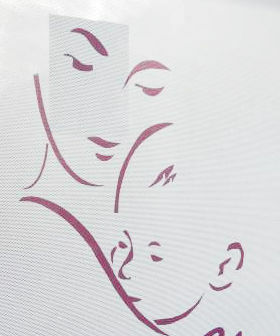 Raksha Clinic is a Gynecology/Obstetrics (Ladies/Pregnancy Doctor) clinic in Banashankari 3rd Stage, Bangalore. The clinic is visited by gynecologists/obstetricians like Dr. Aarthi Bharat. The timings of Raksha Clinic are: Mon to Sat: 6:30pm-8:00pm. Some of the services provided by the clinic are: Hysterectomy, Routine Infertility Tests, Antenatal care, Pre-conception counseling and Endometrial biopsy. Click on 'map' to find directions to reach Raksha Clinic. The Best Gynec to consult ever. Finest experience from day 1 with respect to my pregnancy care and assistance till the day of labour and even beyond. ,indeed a women with immense experience who works only for good deeds. Would definitely recommend all mother's to seek her assistance for complete motherhood satisfaction. Thank you Doctor for all your immense support and cordiality throughout my pregnancy. Would suggest for everyone who is looking for correct guidance and progress. Overall good experience. Recommended. Don't recommend this doctor at all, our first kid-daughter was born with asd (congenital heart disease) as my wife has psoriasis. This was a stated condition to her, *** *** ******* ** ***** ***** **** ******* *** *** ***** *** ******* This was confirmed to us when we checked with doctors ** ******** ********** We visited another gynecologist for our second childbirth from day 1 my wife was given folic acid and the second kid was born ********* ***** The doctor is not approachable as well and does not like questions, always in hurry. I strongly DO NOT recommend.